A while back I posted some custom moleskines I designed using some of the stamps from my shop. I have started using one of them as a Prayer/Praise Art Journal. One confession I have is that I haven't ever really kept any sort of journal or planner until the last 8 months or so. When I started journaling in my journaling Bible last fall all of that started to change. 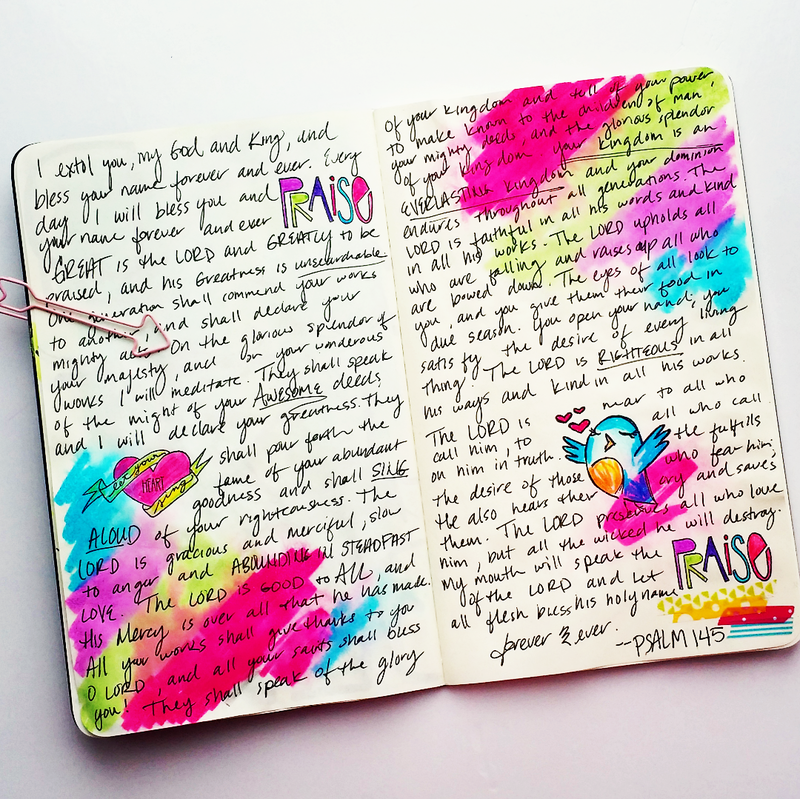 I have such a deep desire to journal prayers, praises, verses and ALLTHETHINGS God reveals to me from his word. This morning I was reading Psalm chapter 145 and I was so touched that I decided to write the entire chapter long hand. 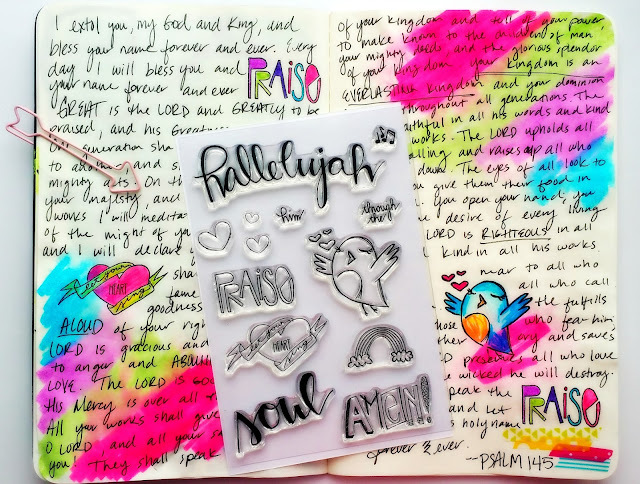 I started by adding a little color to the pages with my Tombow Dual Brush Pens and then I added a few stamps from the Praise Him stamp set I designed. When I was going through the verses 1 by 1 I added the "Praise" stamp when the word Praise popped up. Overall I just love looking at this. Although I have just started this journal and it is truly my first art Journal (aside from my Bible) I am already loving it. I pray this is a love letter I can present to God from my heart. I know I use this phrase a LOT but, CHRISTIANS! This is our GOD! He is amazing and awesome. I hope you are encouraged today to go read Psalm 145 and praise the Lord! !